IRIS Betanet is Going to Launch! IRISnet is designed to be the foundation for next generation distributed business applications. It is a BPoS blockchain, built with Cosmos-SDK, that enables cross-chain interoperability through a unified service model. You can find more details about IRISnet here. Since July 20th 2018, the IRISnet community has been running the Fuxi testnet and has made several major improvements on it. On Nov 26th 2018, On-chain software upgrade was successfully tested by validators. This capability made it possible for IRIS Mainnet to start with PoS essential modules while adding more advanced functions gradually such as IBC and service dispute arbitration, etc through decentralized on-chain governance. IRIS Betanet, as the first step towards the Mainnet, will be launched after Chinese New Year. Following is a list of the key activities in the next six weeks and more detailed information about the plan as well as Betanet expectations can be found on IRISnet official website. 01/21/2019: Rainbow, the mobile client for IRISnet, will be opening for public testing on the IRIS testnet. Notifications and instructions will be sent to early private sale contributors for familiarizing themselves with the network through Rainbow app. 02/04/2019: Awards to community members and instructions about how to claim the awarded tokens will be published on www.irisnet.org. 02/11/2019 ~ 02/17/2019: Collecting gentx files for Betanet genesis file. 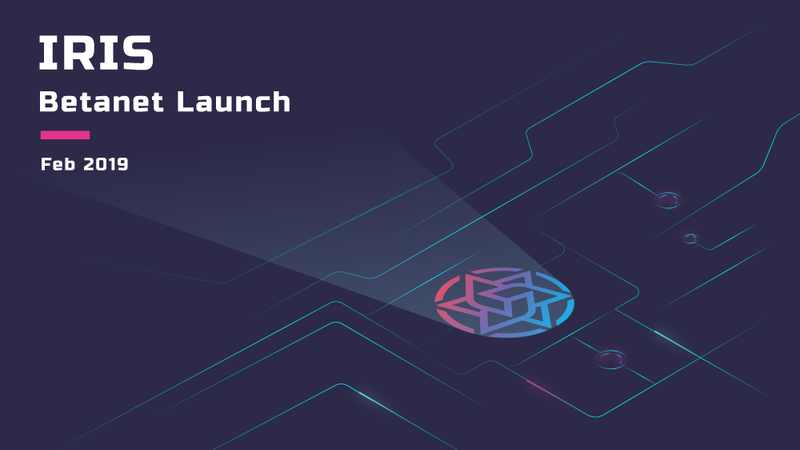 02/18/2019 ~ 02/28/2019: Betanet will launch in a decentralized way with validators worldwide. Users are able to use rainbow wallet to manage their tokens and participate in the network governance. After 03/01/2019 : Releasing tokens to private sale contributors and community award recipients. Check out our official website.